The original Kodak Ektra camera was launched in 1941. 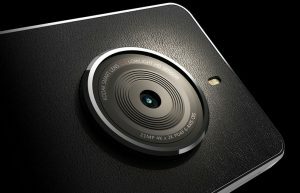 Kodak states that the new smartphone is the ‘latest reincarnation‘ of that famous camera model. The new smartphone is being produced by Bullitt Group. The UK-company is licensing the Kodak brand name for the product. 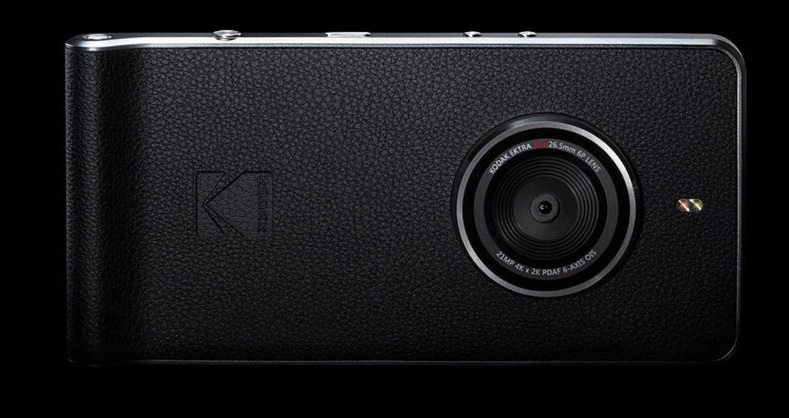 The Kodak Ektra sports a 21-megapixel sensor with f/2.0 aperture. It also features a 13-megapixel front camera with Phase Detection auto-focus [PDAF] system with f/2.2 aperture. Design-wise, the new camera feels like a point-and-shoot camera. 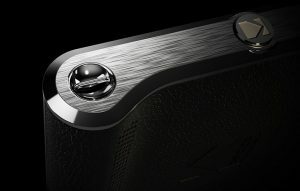 The horizontal edge comes with a dual-press shutter button, which allows you to hold the smartphone like a traditional camera. Also, the rear camera is placed in the middle, rather than a corner, which makes sit more intuitive. It features a large 5-inch HD touchscreen display with a digital interface that sports a DSLR-style dial. It allows you to shoot with manual settings including adjusting shutter speed and ISO. Other camera features include 4K video recording, optical image stabilization, Scene Modes, a Smart Mode for auto settings, a Super 8 app [recreates classic Super 8 film stocks], Snapseed editing software, an integrated photo printing app, and social media sharing features. 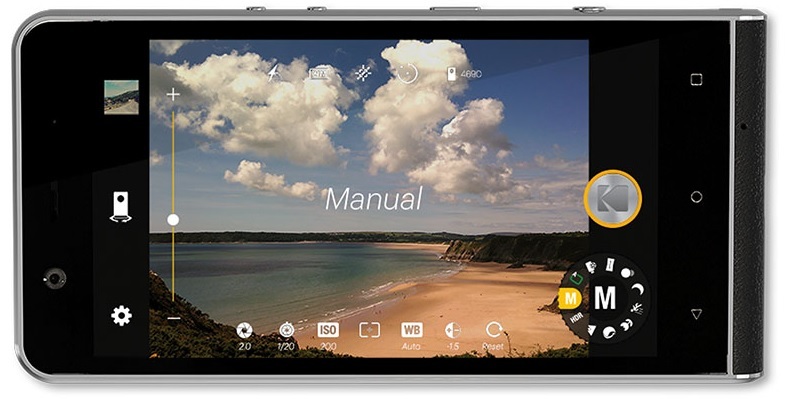 As far as specifications are concerned, the Kodak Ektra is powered by a 2.3Ghz Helio X-20 Decacore processor along with 3GB of RAM and 32GB internal storage. It runs Android 6.0 Marshmallow OS. The new smartphone is backed by a 3000 mAh battery. It features Corning Gorilla Glass protection for both the screen and lenses. The Kodak Ektra will initially be launched in the UK, followed by Europe later this year. It is priced at £449 (approx. $550). There is no information about the global release as yet.